Becoming a pro should be your aim in anything you do. Why would you want to devote your life to a thing if you don’t want to be very known with that thing. For bloggers, you need to become a problogger. And to achieve that, I am revealing what you need to do so as to become a problogger starting this year. For definition sake, a problogger is a blogger who earn at least six-figure income from the internet. You too can start earning that much every month or year, depending on what you desire. Are you ready? I’m not sure. To show that you are ready, I need you to read this through and then do what you are asked to do in this post. - Teach me how to do something. - Stimulate me to think. - Present me with some interesting research results. - Review a product or service to help me make a decision. - Tell me why and how something applies to me. - Show me a case study of something you’ve (or someone else has) done. - Make me feel like I’m not the only one who…. The truth is, you have not become a problogger if you have not owned your life. What does it mean to own your life? To own your life simply means you dictate when you sleep, when you wake up, where you travel to… in short, it means that you have the full control of your life. It means that no boss or no other person (except God and you) decides how you live your life. To some others, owning your life means that you have become financially free and that you are not dependent on anybody. 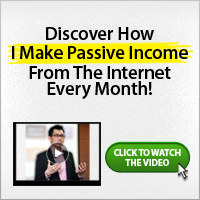 It means that you have successfully built passive income from the things you do on your blog. Also, when you subtract out the sleeping time, commuting time, working time and things you have to do each and every day of your life, most people don’t have more than one to two hours a day to do what they would like to do; and then, would they have the money to do it? Owning your own life means you have the time, money and the health to do what you want to do, when you want to do it, and enjoy the health to do it.